The term “bird brain” is used to imply stupidity, but a new book by Jennifer Ackerman suggests our feathered friends are anything but. It's called the Genius of Birds. Since childhood, when she had a pet parakeet named Grisgris, Jennifer Ackerman has marveled at the intelligence of birds. A New Caledonian crow named Betty fashioned a hook to retrieve food, and a Japanese crow was videotaped dropping nuts on the road, waiting for cars to run over them, and then retrieving the nut meats. 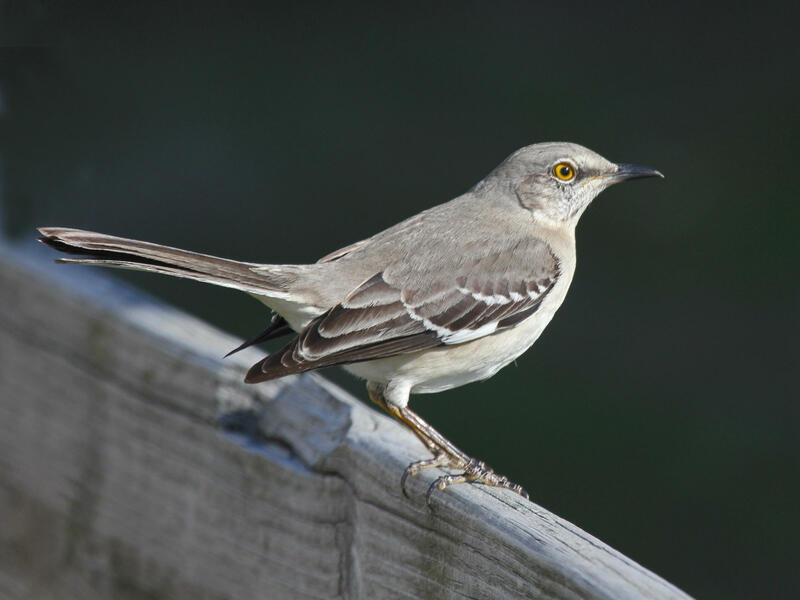 Mockingbirds can imitate dozens of other bird calls as well as squeaky gates, sirens and barking dogs, while a western bird called the Clark’s nutcracker will, each year, hide about 30,000 seeds in as many as 5,000 locations - then go back and find them, even if they’re covered by snow. “I think about this every time I misplace my glasses or my keys,” says Ackerman. Then there are the tasteful satin bower birds who decorate a stage before performing for prospective mates. “It’s made of sticks. It has a little archway that the female stands in, and then the male bird collects objects to decorate the floor of his bower, and mostly he likes blue objects, and they’re very rare in the rainforest where he lives, so he’s got to do some exploration and also some stealing. These birds like to steal their blue objects from other satin bower birds,” says Ackerman. These and other stories are featured in Jennifer Ackerman’s book - the Genius of Birds. Jennifer Ackerman will speak at the New Dominion Book Shop in Charlottesville April 14 at 5:30, and you can find her appearance on the NPR talk show On Point here.